All LITCHFIELD MANOR PARCEL 9 homes currently listed for sale in Surprise as of 04/22/2019 are shown below. You can change the search criteria at any time by pressing the 'Change Search' button below. "This beautiful 5 bedroom with 3 full baths home features laminate wood floors throughout and 18x18 neutral tile in the kitchen, baths and family room. Kitchen has granite slab counters, stainless steel appliances and recessed lighting. Master features separate tub and shower, double sinks and a large walk in closet. This well thought out floorplan offers one bedroom downstairs next to a full bath and a loft area upstairs. 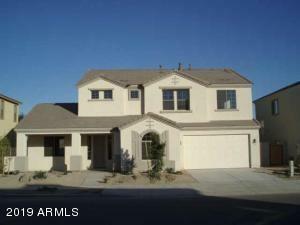 Low maintenance front and back yard with desert landscaping and a large po"